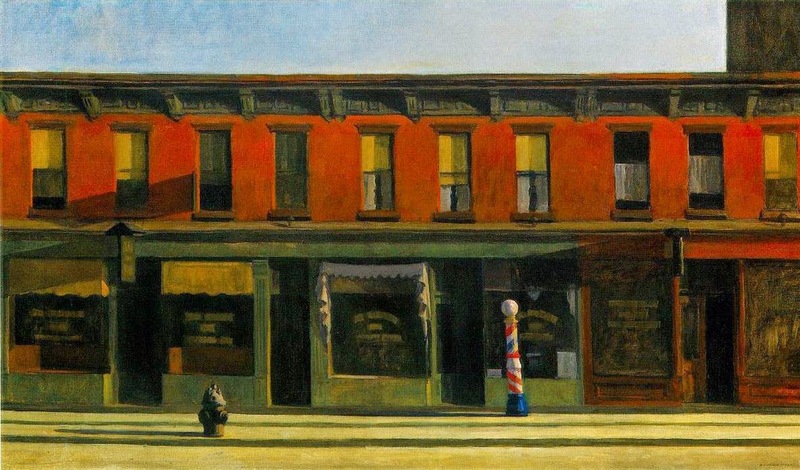 Infinite Art Tournament: Third Thursday Semi-Finals: Varo v. Hopper! I like them both, but my vote goes to Varo. Varo. There are a number of reasons I really like her art. 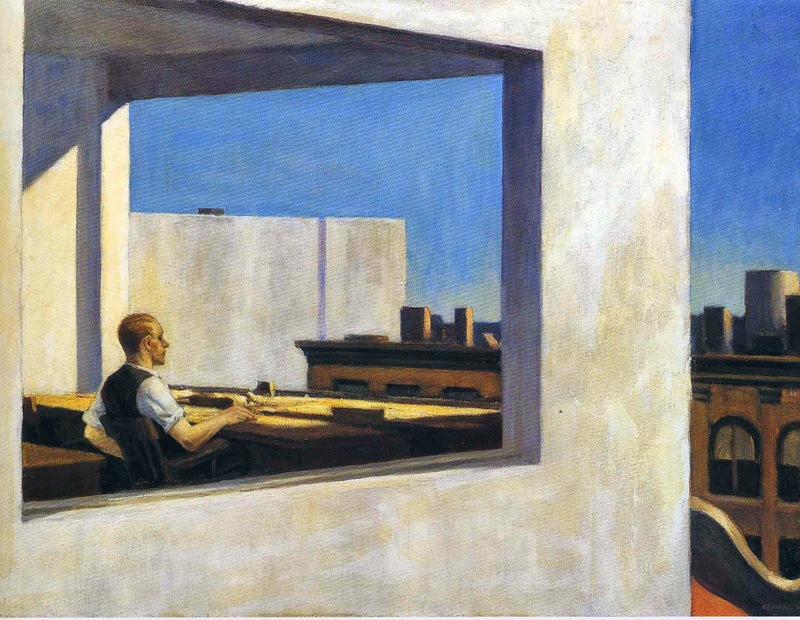 People often talk about an artist's ability to provide a sense of space. 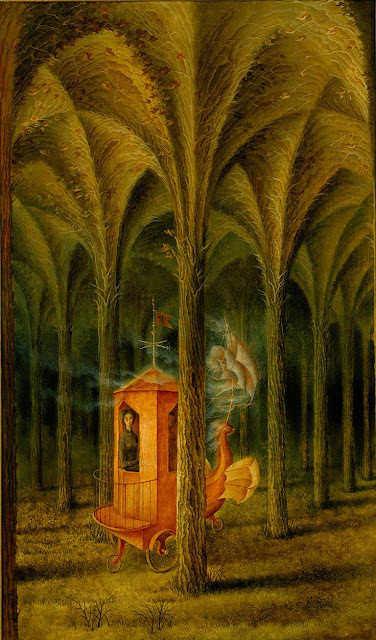 I get that with Varo: not large spaces, as is generally the case when the praise is raised, but small spaces that can seem either cozy or constricting depending on the painting. I think the effect really works. A sense of whimsy pervades her paintings in a way that doesn't remove from the seriousness of the art: less "Monty Python and the Holy Grail" and more "Once and Future King". 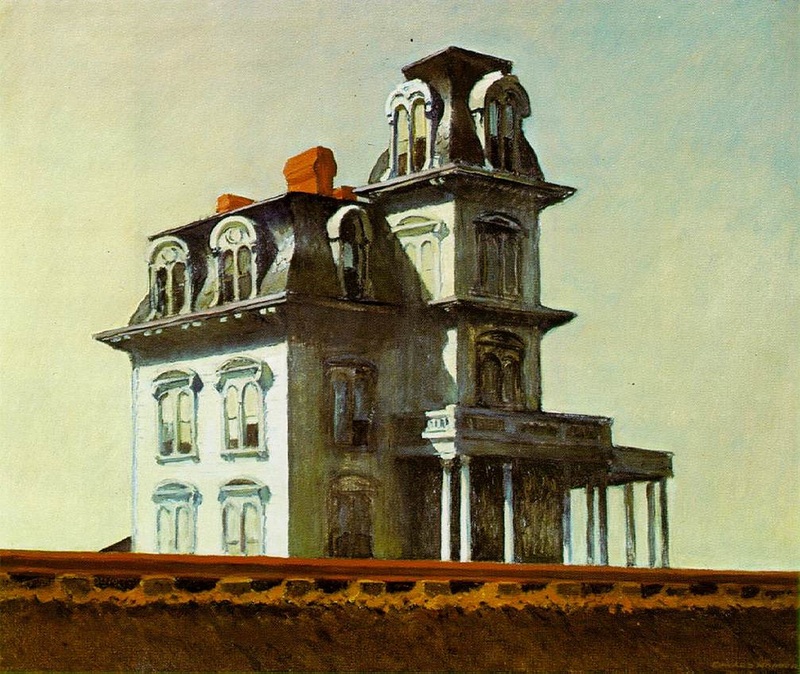 This avoids the trap of pretentiousness that is often present in surrealism, without going too far in the other direction and making the art cartoonish. Finally, I really like the use of texture. I wish I didn't have to choose, but since I do, I'm going to choose Hopper. Had much trouble deciding here. 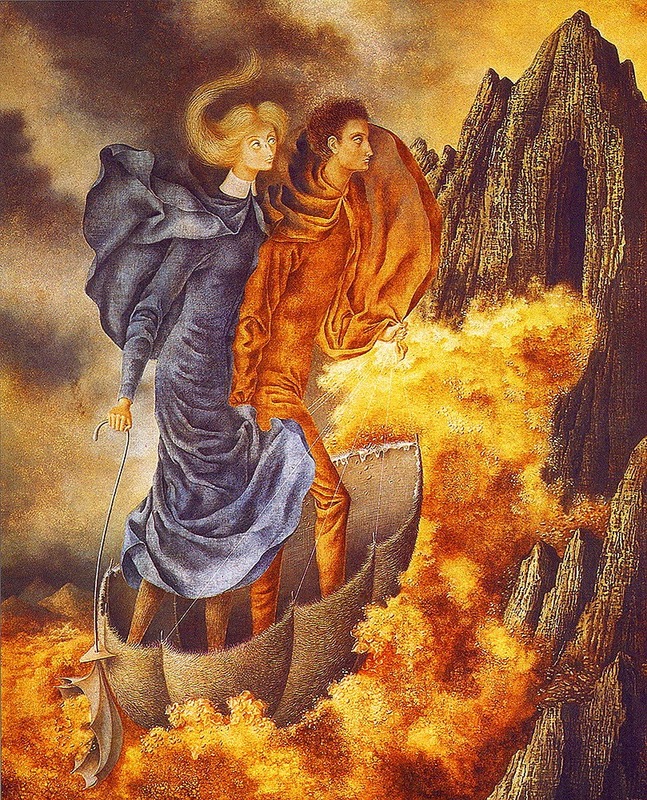 Googled for more paintings and, as happened a few times before, got lost checking out lots of Varo paintings. There's a bunch I quite like. Hopper of course has great color and light, and that somewhat odd sense of detachment. 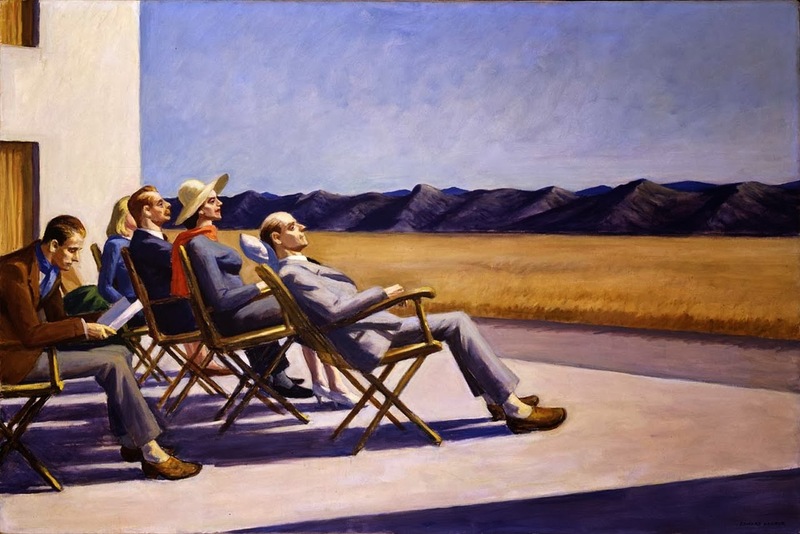 But I feel like other painters had done similar things with color (like Thomas Hart Benton) and odd detachment (de Chirico, though odder), and Hopper kinda just added a stripped down "international style" kind of vibe. 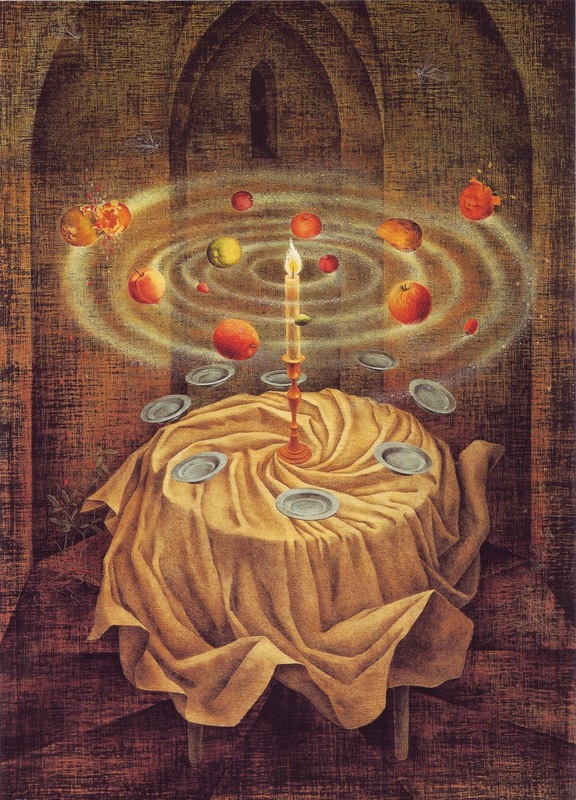 Of course Varo is also reminiscent of other artists. 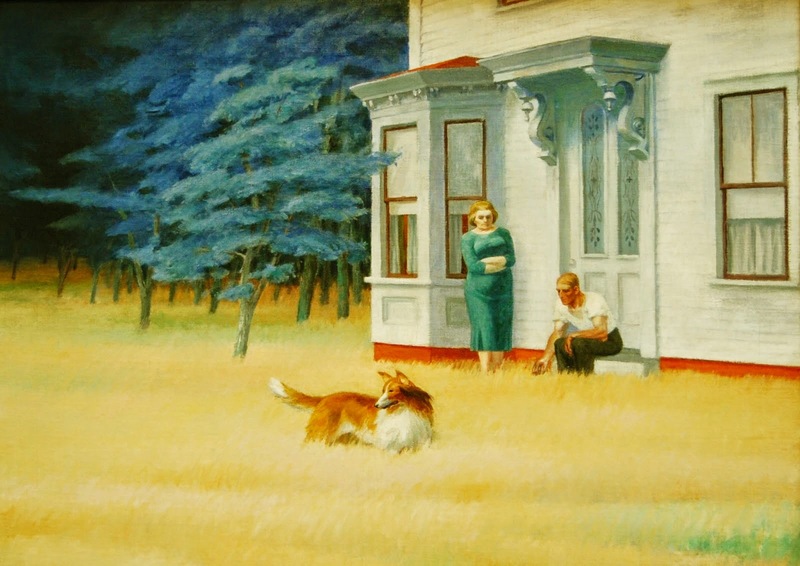 And her paintings don't "pop" the way Hopper's do. Maybe she isn't as good a painter, technically speaking. Still, I get sucked in to some of her paintings, in a way I just don't with Hopper. In other words, I'm going with Varo again. It was a tougher choice this time though. I'm going with the first guy and 100% because I like the one with the creepy guy's head materializing from a chair to lick a woman's neck. Hell yes. 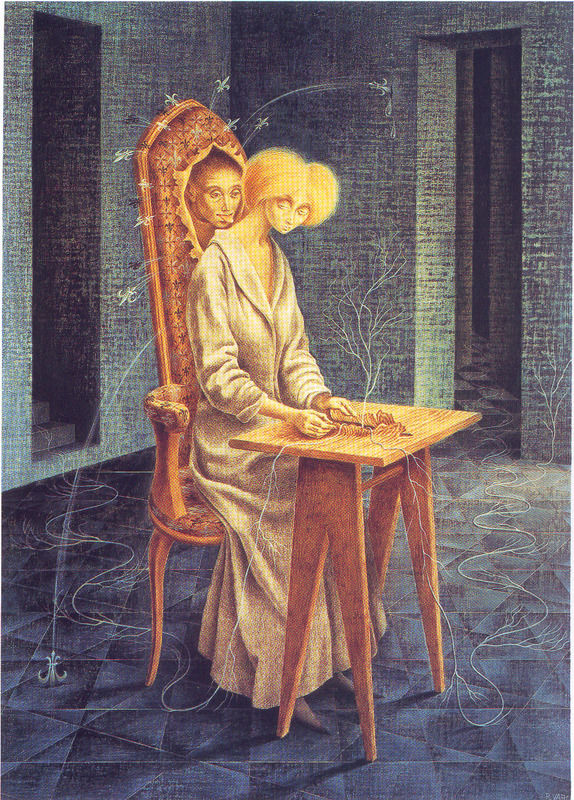 I like Varo a lot, but her paintings read as illustrations to me--I think, oh, that would make a great book cover--whereas the Hopper paintings make me want to stand in front of the original in a museum somewhere. So much of the sweep and ache of the Hoppers are in the composition itself. So he has my vote. 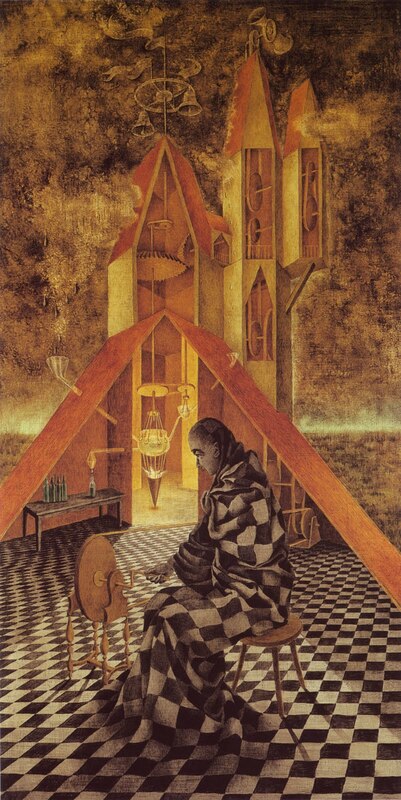 Susan says "Hopper (Varo is fascinating; too bad she was up against Hopper.)" Wowser, this Tournament isn't getting any easier. I found Morgan and Dr. Noisewater both very persuasive for Varo, Mrs. for Hopper, and pfly for both. I'm going to end up with Ben: "I wish I didn't have to choose, but since I do, I'm going to choose Hopper." Hopper's comeback starts too late and doesn't last long enough, and the last vote seals a 7-5 win for Play-In Artist Remedios Varo! She'll take on Thomas Hart Benton next. Hopper will have time to regroup, as his opponent in the Left Brackets will depend on the resolution of some ties.